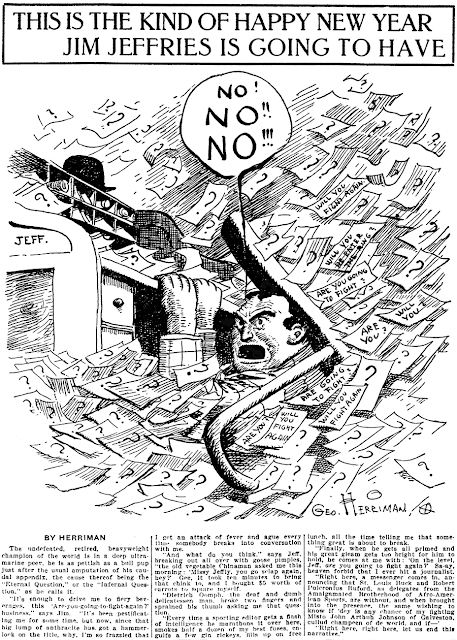 December 29 1908 -- Jeffries, thou dost protest too much. It'll take over a year, but finally the combined forces of racism and dollar signs will talk you into boxing Jack Johnson. The real question is why anyone thought you could win, six years after your last fight and hopelessly over-matched by a boxer in peak condition. Yes, we're running a lot of Outcault cards here on postcard Fridays. Well, what can I say except that he produced them by the score, and they are awfully darn delightful. 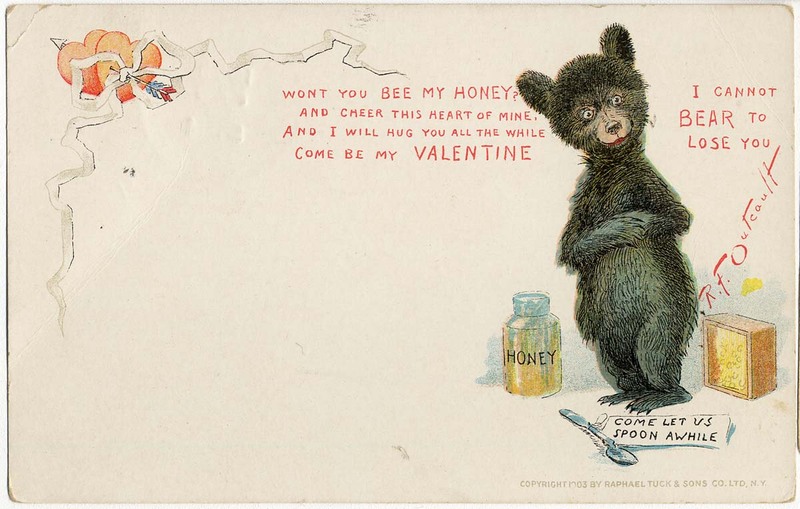 This one, a Valentine's card put out by Raphael Tuck in 1903, is particularly nice. Xavier Cugat was a famous bandleader who is probably most responsible for introducing the States to the music and dancing of Central and South America. During World War II, when the U.S. was desperately trying to curry favor with our southern neighbors, he and other "goodwill ambassadors" were especially in the public eye. In 1943 Cugat was asked to do a series of articles about Latin music for the American Weekly newspaper Sunday magazine. Because Cugat was also an excellent cartoonist, he opted to draw his impressions of the music and dancing, covering one country per week for the magazine. The resulting pages were absolutely stunning, and though this may be ever so slightly off-top for Stripper's Guide, I had to show off a few. -- On "I Love Lucy", Cugat was periodically mentioned as "Ricky Ricardo's" more famous rival. -- At 66 he married Charo, who later asserted she was under 18 at the time. Thanks for linking to this great Cugat video, featuring Lina Romay at her loveliest, and the Abbe Lane clips were sensational! She was such a little sizzler, I've often wondered how Cugie could throw Abbe over for Charro, who struck me as a very obvious type. Oh well, Cugat was a very good cartoonist, must have had a King-sized ego! Wasn't Cugat's theme song "Babalu," the same as Desi Arnaz? Way back in 2011, we ran a three part series (part 1, part 2, part 3) here on the blog showing some wonderful Sunday comic section ads. 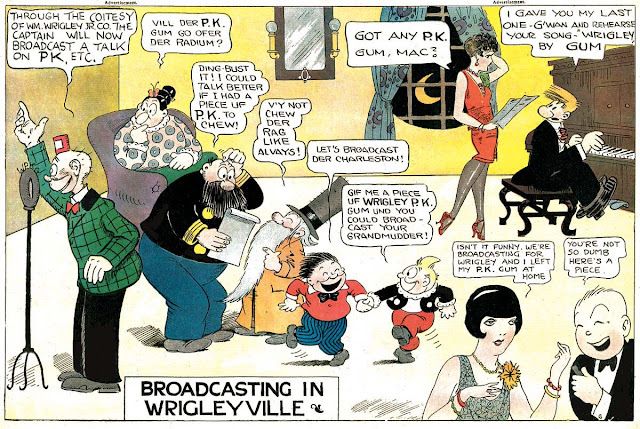 In this series, the big Hearst comic strip characters shill for Wrigley's PK chewing gum. Most of the series has a whole strip devoted to one character, but we had one really neat jam page ("A Picnic in the Sky") that brought a bunch of characters from different strips together. As far as we knew at the time, it was the only one like that. Now Pierre-Henry L'Enfant (of Togo!) has sent me an additional installment of the series, another great jam page. This one features the characters from Katzenjammer Kids, plus Happy Hooligan, Tillie the Toiler and Mac, Freddie the Sheik and Dumb Dora. It ran in some Hearst comic sections on April 10 1927. Thanks Pierre-Henry! Warms my heart to know that there are old comic strip fans even in far-flung places like Togo! William G “Bill” Lignante was born in Brooklyn, New York, on March 20, 1925, according to Wikipedia. The 1925 New York State Census recorded Lignante as the youngest of two children born to William and Florence. The family resided in Brooklyn at 15 Bay 17 Street. Lignante has not yet been found in the 1930 census. Passenger lists show Lignante’s father traveling to Havana, Cuba several times. A 1933 list recorded Lignante’s address as 806 East 38 Street in Brooklyn. The same address was in the 1940 census. Lignante’s father was a traffic manager for shipping brokers. Later that year on August 26, fifteen-year-old Lignante returned from Havana. He was a mess boy on the Honduran steamship Neptune. 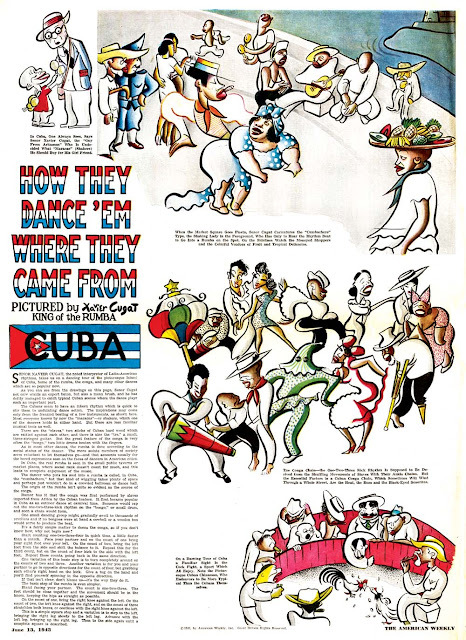 Lignante’s National Cartoonists Society profile said he served in the navy. The Brooklyn Eagle (New York), July 27, 1947, noted Lignante’s marriage. Miss Vivian Longo, daughter of Mr. and Mrs. John A Longo, was married yesterday afternoon in Sts. Simon and Jude Church, to William H. [sic] Lignante, son of Mr. and Mrs. William H. Lignante of 806 E. 38th St. A reception was held at the bridegroom’s residence. 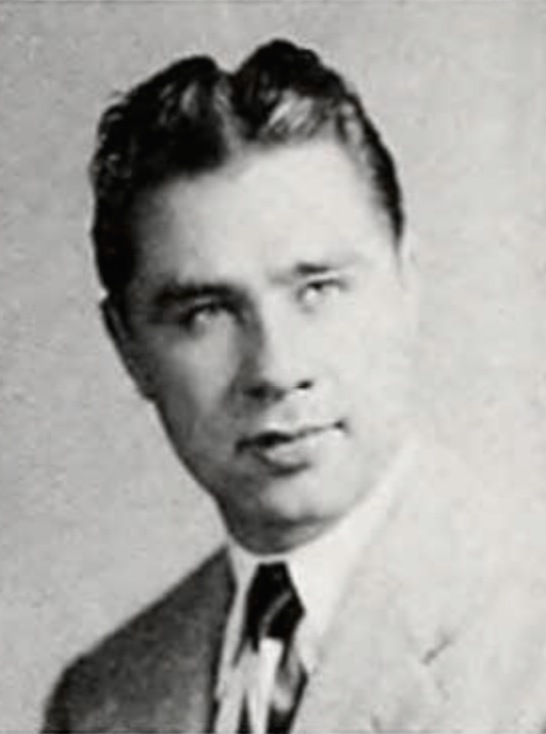 Lignante graduated from Pratt Institute in 1949. The school yearbook, Prattonia, listed his address as 156 East 21st Street in Brooklyn. 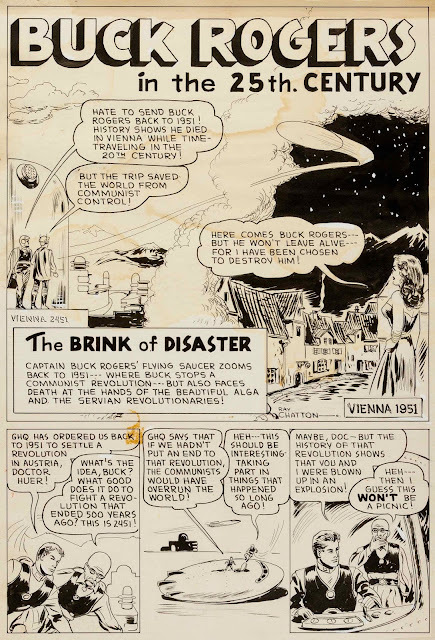 Lignante learned to draw by copying the “Flash Gordon” and “Prince Valiant” newspaper comics. From early on, he knew he wanted to be a cartoonist, though his parents pressed him to choose a more stable adult profession. “My mother said I was going to be starving in a garret. Where she got that from, I’ll never know,” he says. American Newspaper Comics (2012) said Ozark Ike began with Ray Gotto on November 12, 1945. Lignante took the reins in 1954. Using Ed Strops as a pseudonym, Lignante and George Olesen produced the King Features Syndicate strip to its end on September 14, 1958. During 1958, Lignante ghosted Red Ryder. In the 1960s, Lignante drew The Phantom from October 1, 1961 to April 28, 1962. Lignante was the fourth named artist to draw Albert Edward Wiggam’s Let’s Explore Your Mind, which debuted November 21, 1932 with artist Raymond Flanagan. The next two artists were Jack Hamm and Ray T. Chatton. Lignante’s run was from 1963 to January 23, 1971. Lignante also drew the comic book adaptations of The Phantom, Mandrake the Magician and The Girl from U.N.C.L.E. Lignante was a member of the Berndt Toast Gang, the Long Island Chapter of the National Cartoonists Society. Lignante moved to Los Angeles some time after his divorce in 1968. Here, Lignante became nationally-known for his courtroom drawings for ABC News. Some of the trials he illustrated were for Charles Manson, Sirhan Sirhan, Patty Hearst, John DeLorean, Angela Davis and Lee Marvin. Lignante’s work for ABC News ended in 1993. Lignante is retired and lives in California. The current issue of Alter Ego (#144 - January, 2017) has an interview with Gold Key and King Comics editor Bill Harris. He says that Lee Falk owned The Phantom and had final say as to who did the comic books. "We had one guy. His name was Bill Lignante. He came to me right after I started organizing the book, before publication, and told me he was Lee Falk's pick to do the comic book...I found out later that Lee Falk had indeed sent him over. So we used him. He was the only artist we used for the book at both Western and King Features." The first comic book was dated November 1962. Could it be that after Sy Barry replaced Lignante on the Sunday strips, Falk fed him Lignante the comic book assignment as consolation? Anyone know how I could get a hold of him? Bill Lignante passed away on February 27, 2018. Does anyone know how to reach his wife Alma or their daughter? I'd like to buy one of his sketches. Does anyone know how to reach his daughter Roselle ( not correct spelling)? Was friends with her from Bethpage NY. Raymond Thomas Chatton was born in Chicago, Illinois, on January 9, 1920, according to the Cook County, Illinois, Birth Certificates Index at Ancestry.com. His parers were Kenneth Thomas “Chattin” and Agnes Podalsky. It’s unclear if the spelling of “Chattin”, with an “I“, was a misspelling or a transcription error. Details of Chatton’s early life, education and art training have not been found. Chatton’s mother, under her maiden name, was counted in her sister’s household in the 1920 U.S. Federal Census which was enumerated on January 15 and 16. Agnes had five siblings at time. Chatton and his father have not been found in the census. In the 1930 census, Chatton and his parents are missing. According to the 1940 census, Chatton and his widow mother, Agnes Levey, were Chicago residents living at 2119 West Ogden Avenue. Chatton was employed in the printing industry and his mother was an inspector for an electrical company. Chatton’s highest level of education was the eighth grade. Chatton’s art training may have been at one of the Chicago art schools. 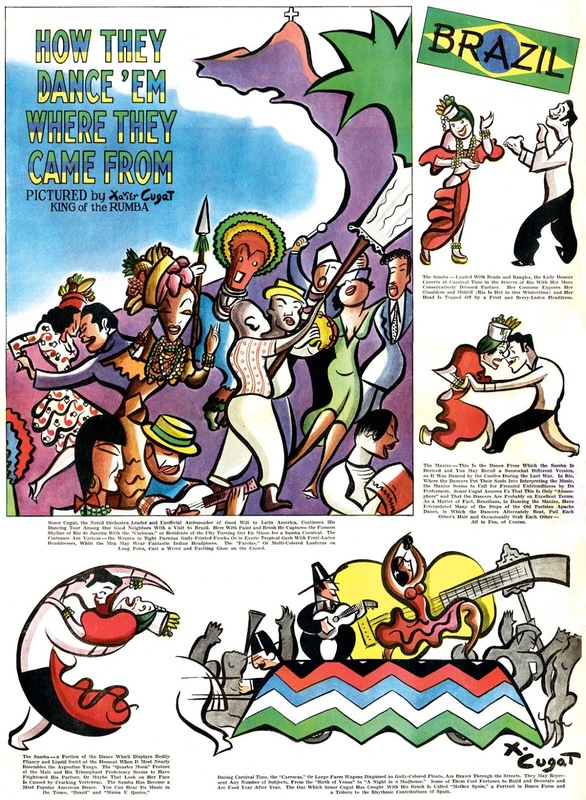 Who’s Who of American Comic Books 1928–1999 said Chatton was a magazine illustrator in 1948 and 1949. Chatton’s earliest comic book work was in Buck Rogers from 1951. Chatton illustrated several children’s books in 1954: Dee Dee, the Calico Cat; Walt Disney’s Jiminy Cricket Magic Slate; Mickey Mouse Club Drawing Magic; Jimmy Dodd Magic Slate—Draw the Stars of the Mickey Mouse Club Show in All Different Costumes; and Mickey Mouse Club Drawing Magic. American Newspaper Comics (2012) said Chatton drew Albert Edward Wiggam’s Let’s Explore Your Mind from October 15, 1951 to October 29, 1955. Chatton was the third of four named artists on the series. He followed Raymond Flanagan and Jack Hamm, and preceded Bill Ligante. Chain Store Age, November 1966, reported Chatton’s changed of jobs. Open Pantry Food Marts, Inc.: Raymond Chatton has been made national advertising director of the bantam supermarket chain. Chatton had been art director for C.C. Carlson & Co., printing, publishing and direct mail specialists. God’s Mother Is My Mother. Jack Mulqueen & Ray Chatton. Illus. by Ray Chatton. 28p. (Orig), 1978. 2.50 ( ISBN 0-913382-49-3, 103-13). Prow Bks Franciscan. Chatton drew the Soldier of God (1982) comic book. Chatton passed away April 30, 2006, according to the Social Security Death Index, which said his last residence was in Plainfield, Illinois. Chatton was laid to rest at Clarendon Hills Cemetery.